3D printers are increasing in popularity as they become cheaper and easier to use. They’re ideal for creating prototypes and limited production parts, but what kind of things you can create depends on what kind of system you put together. All 3D printer materials (called filaments) have to run through an extruder, so there are certain inherent limits to the resulting parts. For example, you can’t 3D print solid metal or glass parts. Various filaments are available, however, that have different properties. ABS plastic hardens to create highly rigid plastic components. There are also metalized resins, and filaments infused with carbon fiber or even wood particles. If you want to print parts from existing designs, you can simply find those on internet sites and download them for your printer. Some are available for sale, while others are free. But if you want to create your own, or modify the designs of others, you need CAD-CAM systems like the ones you can find at a Mastercam reseller. They allow you to precisely change dimensions on the components you create. 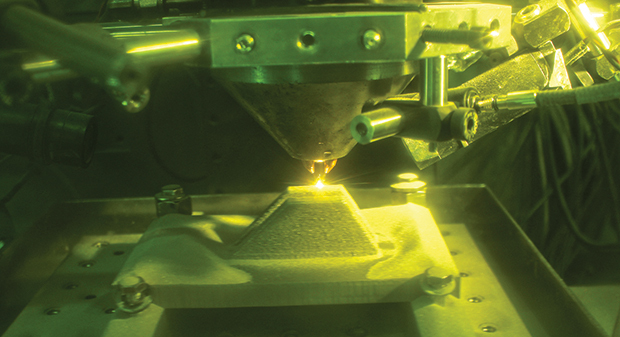 3D printing’s main strength is in short run production of parts. For longer production runs, you may want to turn to more traditional production techniques. But the technique is excellent for creating prototypes. Even if the part isn’t long-lasting or can’t stand up to the pressures, heat, or other extremes required of a permanent replacement, there is value in rapidly producing a series of parts that can be tested for fit and function. The design can then be produced in hardened metal, glass, or plastic using traditional techniques. Familiarize yourself with the available materials and systems available before you invest in 3D printing. Then select these components based on what kind of parts you want to create.